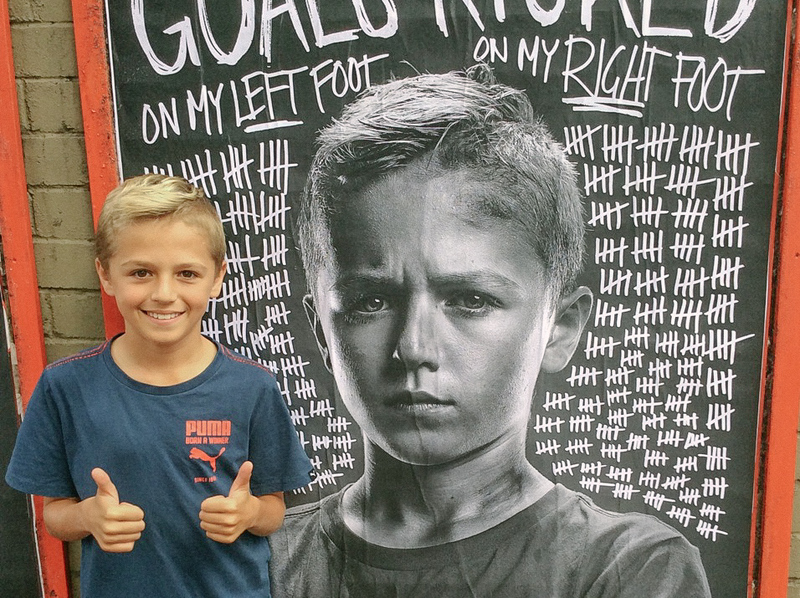 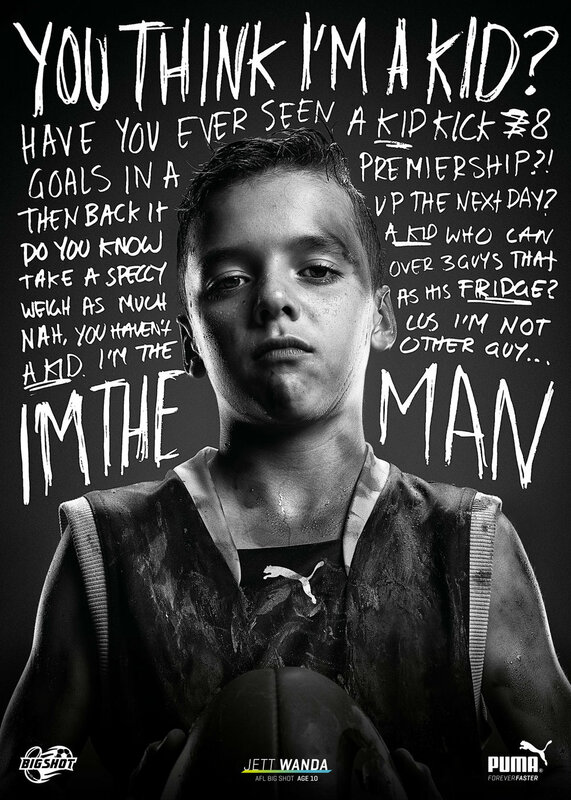 PUMA doesn’t have huge football stars on their roster like Nike and Adidas. 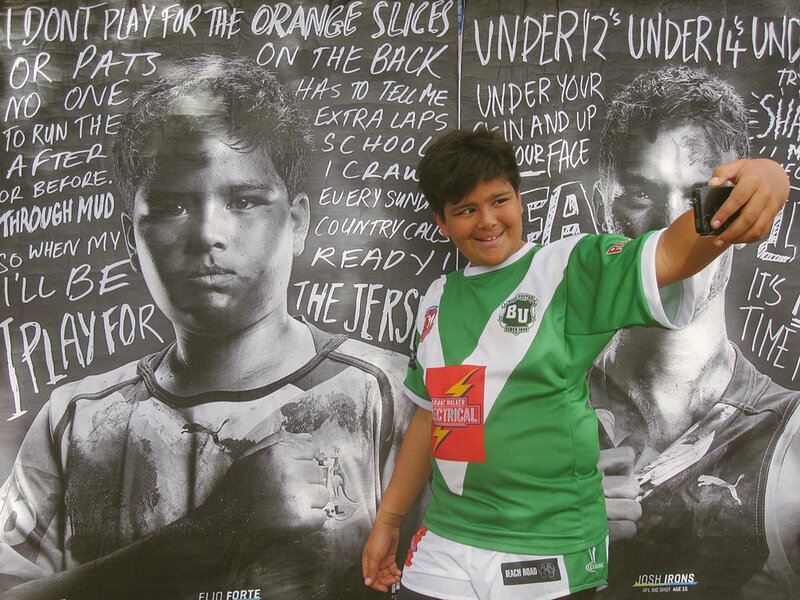 So we kickstarted the football sales season by looking for Australia's future big shots. 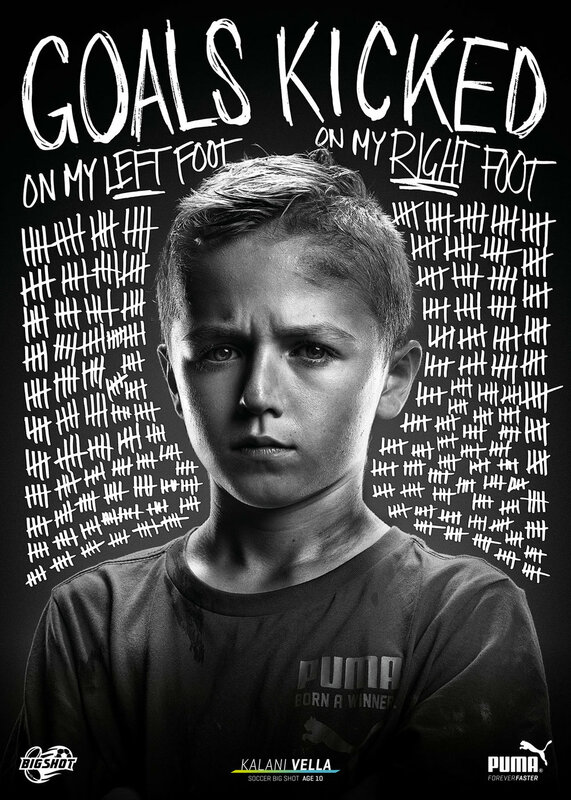 We set up an elite PUMA drill course in Sydney and offered the most talented kids a PUMA sponsorship and professional photo shoot. 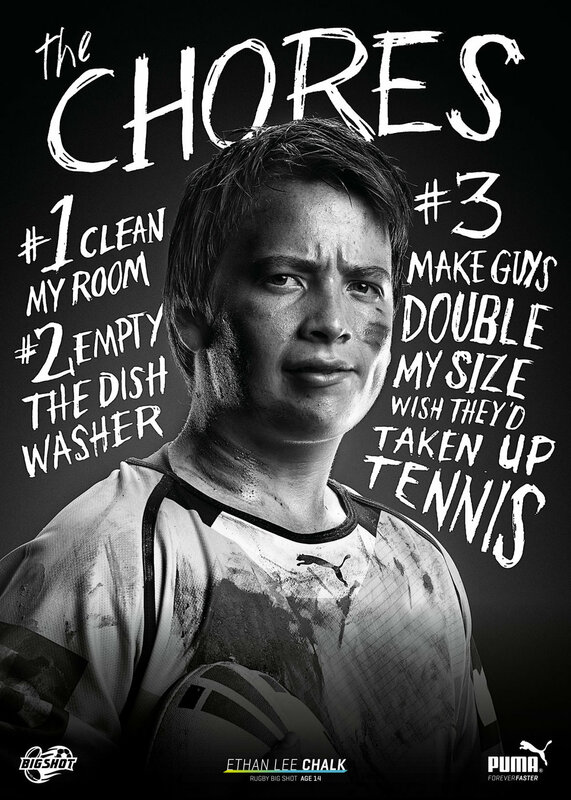 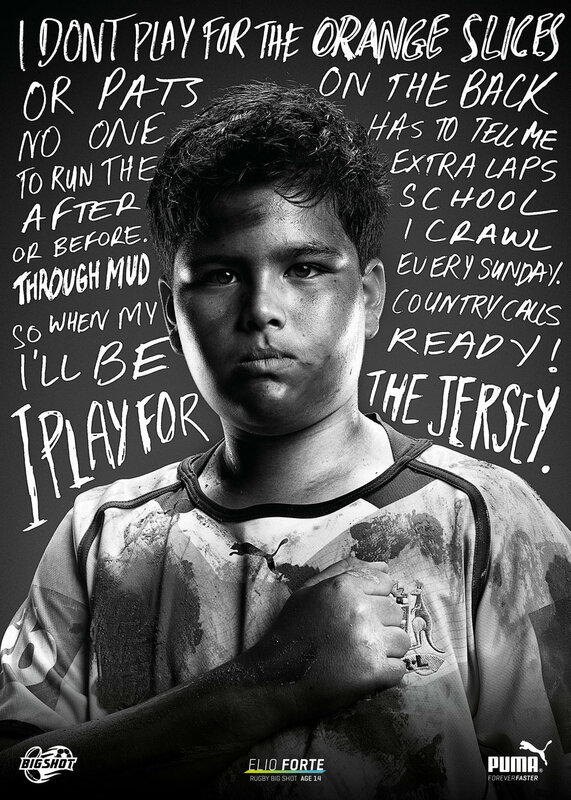 Each Big Shot’s story and unique handwriting was turned into the national advertising. 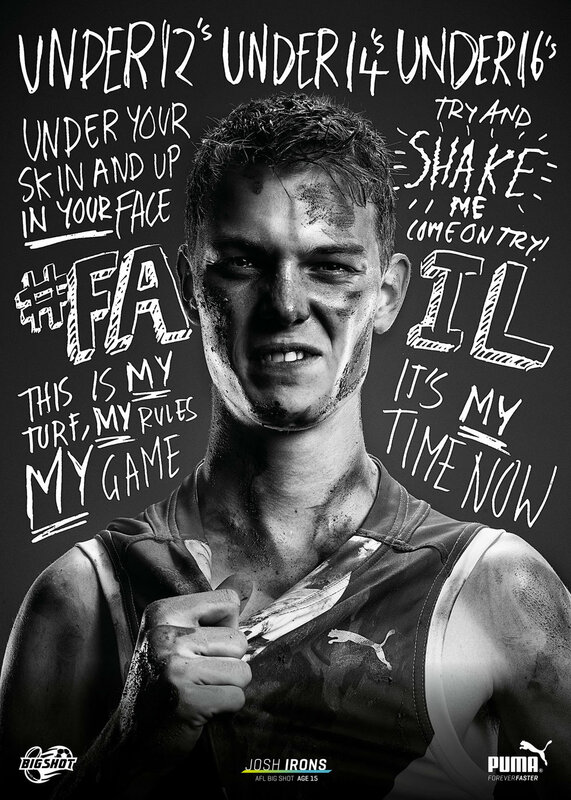 PUMA Big Shot has now become a annual event for PUMA Australia.